It’s Never Too Late to Eat Right! I specialize (that is I am board certified) in Internal Medicine. Internal Medicine is a real specialty, though I am not usually referred to as a specialist. Sometimes as a primary care doctor I’m called a GP (General Practitioner), an old term that applies to doctors 1 year out of medical school with a state medical license and no board certification. I’m also called an internist (though I take care of more than people’s insides!). I’ve also been referred to as an “adult medicine physician” and sometimes for a laugh, I call myself an “Adult-atrician” – since everyone seems to know what a pedi-atrician is! As a practicing internist, I have to know great deal about many aspects of our bodies and minds – and keeping current is hard work. One way I like to keep up with modern medicine is by reading journal articles. Every week I get several journals in the mail such as the New England Journal of Medicine, The American Journal of Medicine and my specialty journal, Annals of Internal Medicine – as well as several others on dermatology and more. I probably read dozens of these publications a week! So here’s a shout out to all the primary care doctors out there who are spending their precious free time striving to stay smart and informed for their patients! As you know, my philosophy on food and wellness is that no matter what way you choose to eat, whether it be a plant-based diet, Mediterranean, Paleo or otherwise – I believe firmly that your everyday diet should be composed of real food. This means no harmful chemicals, processed foods, dyes, flavor substitutes or fat-reducers – to name just a few of the culprits. I was amused and also a little shocked to read “The Autopsy of Chicken Nuggets Reads Chicken Little” in the American Journal of Medicine. 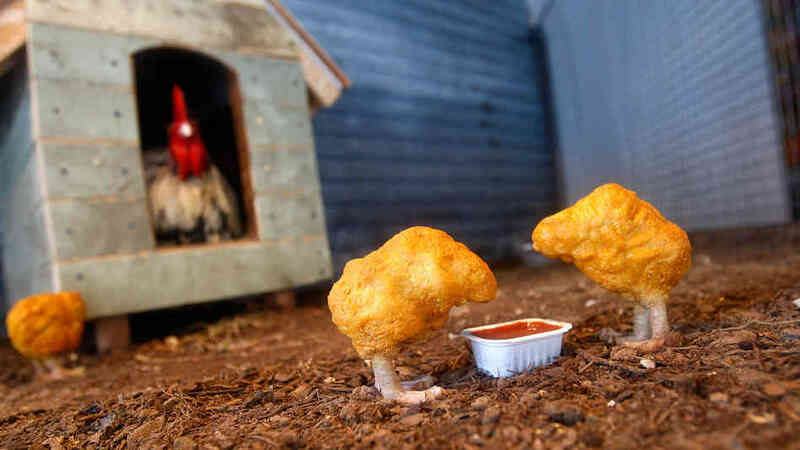 This particular study detailed an account of doctors from the University of Mississippi Medical Center (the state that tops the list at #1 in America’s obesity epidemic ) cutting open chicken nuggets from two national fast food chains and examining them as though they were pathology specimens to see what types of tissue they contained. **** WARNING: THIS IS GROSS!! Keep in mind that meat is muscle (a reason why some people are vegetarians). In these chicken nuggets, doctors from the University of Mississippi found only 40-50% muscle – the rest was fat, skin, blood vessels, nerves, viscera – a.k.a. GUTS (sorry again) and BONES! Add to that the fat and carb crust found on a chicken nugget and you have a pretty useless non-food “chicken product” not too much different from the nefarious pig-snout-containing hot dog. It is extremely important that over time consumers around the world become increasingly aware and weary of these kinds of processed foods – becoming informed and educated is the very first step to living a clean, happy and healthy lifestyle! And certainly, this is not the sort of “food” we want to be putting into our bodies. OK, on to a less gross article. In the Annals of Internal Medicine there was an article that noted that people with an exceptional diet in their midlife (defined as late 50s early and 60s!) significantly decreased their risk of encountering major physical or mental limitations in later life. 1) It’s never too late to eat better! 2) If you don’t want to just live longer but live longer and better, drop the nugget and pick up a real food. Eat more things with fewer than 6 ingredients on the label! Eat more fruits, veggies and fiber. From time to time as I read up in these journals, I will pass along more interesting tidbits. Hopefully you found this stuff as interesting as I did! 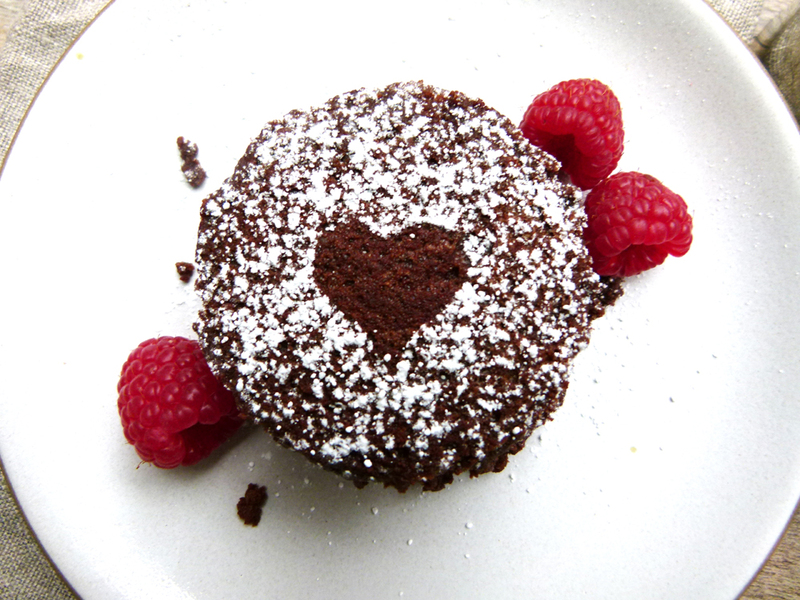 Guiltless Chocolate Lava Cake: The Paleo Way! Heard of the Paleo Diet? The central concept of the Paleo diet is that our bodies haven’t adapted to dietary changes that took place when we went from hunter-gatherers to farmers about 10,000 B.C. That’s when we started eating grains, milk products, orchard fruits and legumes. Some just think the modern diet is too full of starch that we can’t digest, too acidic and too immunogenic (allergy causing). They point to the lack of cancer, auto-immune disease and heart disease in native inhabitants of places like the Trobriand Islands in Papua New Guinea, where they follow a Paleo-like diet. Paleo proponents do eat meat, and tend to eat grass-fed meat, which they think is more like the animals that ancient man and woman would have eaten. Maybe you don’t agree. Maybe you are a vegan and don’t want to eat a diet high in meat but want to cut back on starchy carbs. Whatever your opinion, almost everyone loves a treat, so here is a recipe for a popular treat, adapted to be Paleo-friendly. It is vegan-friendly if vegan chocolate is used. The recipe calls for coconut products. The coconut is a staple of Paleo cuisine. Every part of it is useful and wonderful. Coconut water is a great substitute for sports drinks. Coconut oil is a solid at 70 degrees but a liquid at 74 degrees and is a great neutral fat for cooking and baking. It also has natural antibacterial properties and is a wonderful moisturizer and skin protector. The sap of the coconut palm tree can be used to make agave-like syrup or granules that have a taste like brown sugar but milder. Many coconut products are available in regular grocery stores now, or can be obtained at health food stores. This was adapted from The Paleo Mom website http://www.thepaleomom.com. It is rich and decadent and doesn’t taste like health food. And if you read last week’s blog, cocoa is loaded with antioxidants! 1. Preheat oven to 375F. Grease four 6oz ramekins with coconut oil spray, or I use a non-toxic-type non-stick large muffin tin (the size for 6 muffins). 2. In a double boiler or the microwave on low power in a medium microwave-safe bowl, melt chocolate and coconut oil. Stir until smooth and let cool. 4. Pour egg mixture over chocolate. Sift cocoa and flour over the top. Then gently fold all the ingredients together. 5. Pour batter into prepared muffin tin/ramekins (they should be filled no higher than ½” from the top). Place the muffin tin/ramekins inside a baking pan filled with about an inch of water and place in the oven. Bake for about 11-12 minutes. They are done when a toothpick comes out clean. 6. Remove from oven and let them cool to room temperature. Loosen them with a butter knife, carefully place on a plate, dust with cocoa powder and garnish with ripe seasonal berries. Enjoy! And please let me know how your cakes turned out!! I’m looking for as much feedback as possible. As always, have a fabulous weekend!